Writing Process | Richy923: Published! 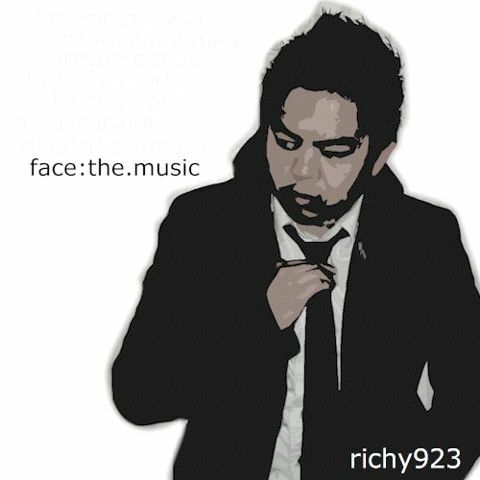 I started writing face:the.music about 3 or 4 years ago, right after I finished producing my latest hip-hop compilation “In Stone”. I wanted to create my own masterpiece; something that differed from your usual album. After being inspired by Green Day’s American Idiot, I thought it’d be a challenge to tell a story not just through one song, but through a string of songs; a concept album. Originally intended to be a straight hip-hop record, Face The Music was supposed to chronicle my jump into adulthood, but hip-hop just wasn’t me anymore. I went back to my roots in garage punk, since my rap lyrics were becoming a little dull. But instead of abandoning it totally, I changed my hip-hop focus from agressive stylized rhymes and witty battle cues, to something more… emotional and storytelling. The Richy923 from “In Stone” wasn’t the persona I had in real life anymore. After listening to my VERY first record, “The 5′ 3″ EP”, the re-introduction of rock music to compliment my style of hip-hop was what I needed to tell a story. This entry was posted on September 23, 2008 by richy923. It was filed under music and was tagged with lyrics, preproduction.